Get ready to enter a winter wonderland as Mickey and Minnie Mouse bring the most magical moments from across the Disney kingdom to the Ticketpro Dome, as Disney On Ice presents Magical Ice Festival skates into South Africa. In a new twist on fairy tale fun, look forward to action, adventure, magic and unforgettable characters from Little Mermaid, Beauty and the Beast, Tangled and the award-winning, Frozen! 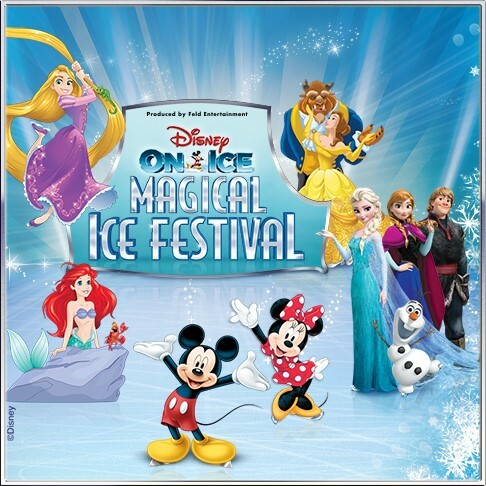 Why not take advantage of the special once-off Disney On Ice Early Bird 15% discount across all full price tickets valid for the month of November 2018 only. Tickets via Computicket. PLEASE NOTE : Fans are encouraged to only book through Computicket, the official authorised ticketing agent for Disney On Ice. There are significant risks in buying from other sources and entry to Disney On Ice is not guaranteed.